Martha, like many people today, did not understand that the Teacher – as she called Him – was revealing the mystery of the gospel and using her real life sit-uation to do so. 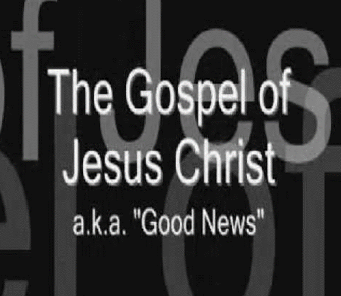 So why is the birth, death, and resurrection of Jesus Christ such good news – the gospel? Why do the old school gospel preachers end their sermon with His birth, death, and resurrection? Mary and Martha experienced what millions have experienced – the death of a loved one. I can see the empty, lonely look in their eyes. You’ve seen it. And perhaps experienced it. That long distance look that says the lights are on, but nobody’s home. I remember seeing it in the eyes of my middle school classmates after someone murdered their mother. I’ve seen it in the eyes of many at FBBC after death paid a visit to their household. I experienced it after death came for our first born child. Jesus turned Mary and Martha’s sorrow to joy by raising Lazarus from the dead. But what about the millions of others with similar experiences?